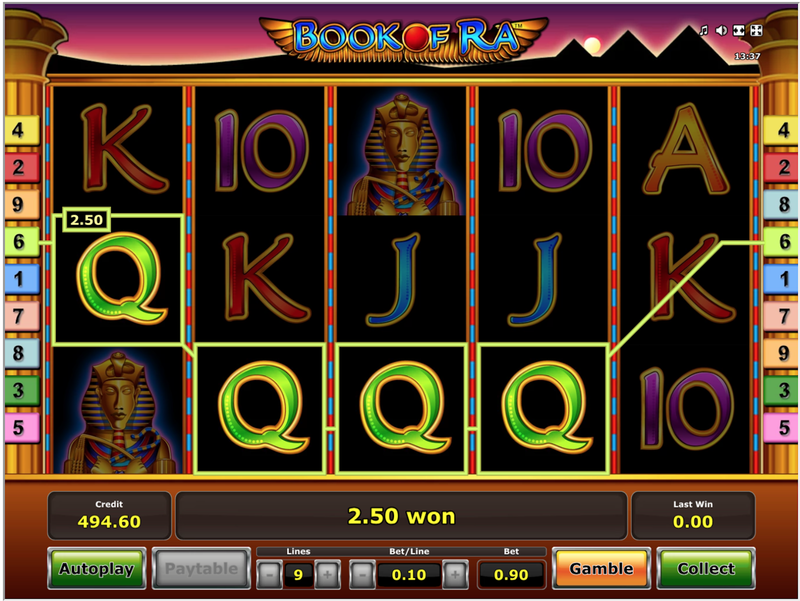 The Book of Ra is an Egypt themed slot. Its simple, clean design is a bit dated now that the sequel is out and its RTP turned us against it from the start. The Book of Ra goes with an Indiana Jones in Egypt theme, although the behatted explorer in the Book of Ra is a carefully non-copyright infringing version. There are also plenty of sarcophagi and scarab beetles to go with the ever present Ace to Ten symbols. 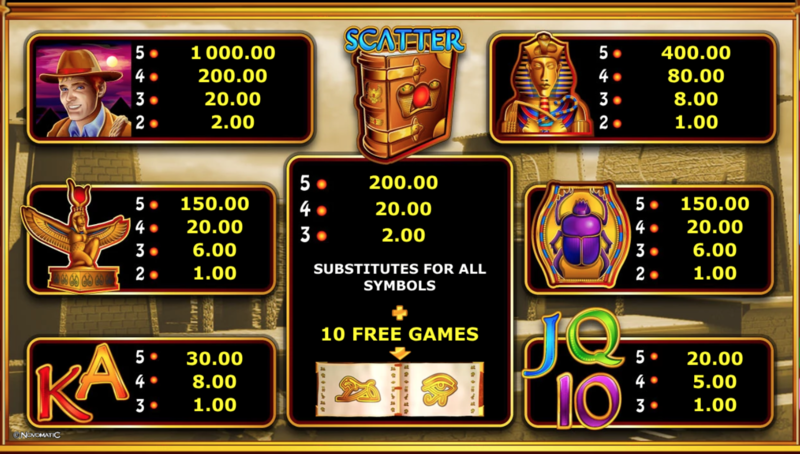 The theme is quite fun if you enjoy the hieroglyphic style which is well suited to slots. The icons always adapt well to being symbols on a reel. Who among us hasn’t wanted to steal a mummy’s treasure. Now you can do it by landing winning combos on the Book of Ra’s reels. The graphics are somewhat dated, although they remain in beautiful high definition. On the other hand, the style is a bit schlocky. If you are looking for a similar game with a little more shine on the image, there is a sequel with updated graphics: The Book of Ra Deluxe. That said, the symbols are perfectly functional and not too unpleasant to look at. They do a good job of evoking the 1940s adventure serials the Indiana Jones films drew on. 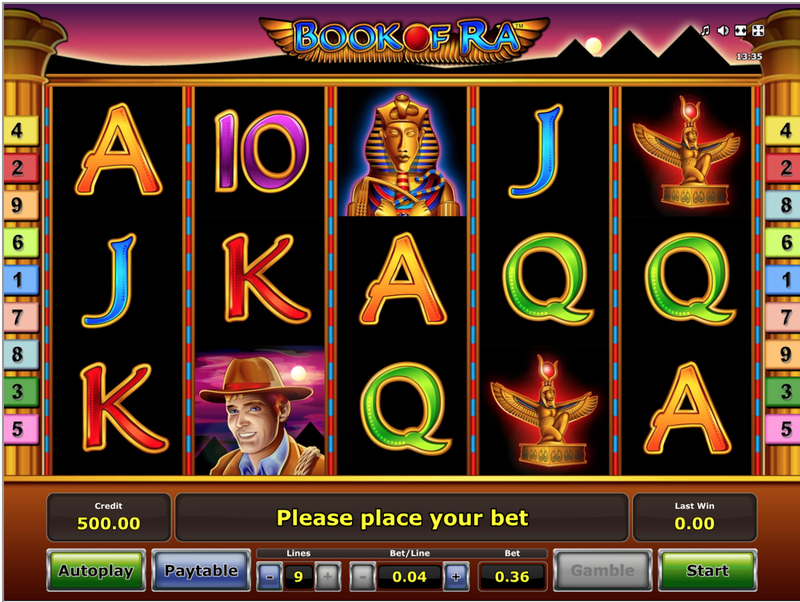 The Book of Ra is a five reel slot machine with nine winlines. You can choose any number of lines between 1 and 9, although they are added in the same order, so lines cannot be picked by players' wish (this does not affect the RTP, so no need to worry about that). In most ways it is a fairly basic slot machine. 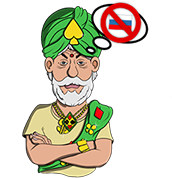 However it does have a popular bonus with ten free spins and an expanding symbol feature (more on which below). There is also a gamble feature to break up the spinning. 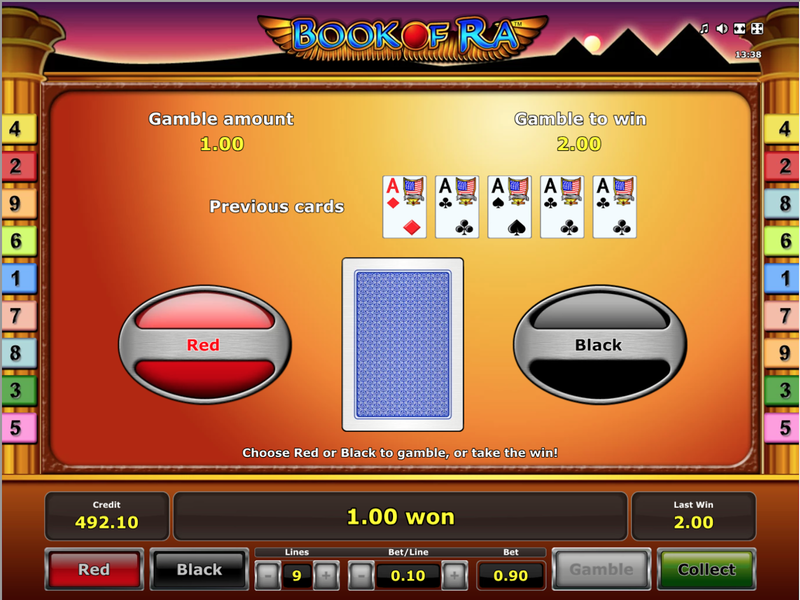 This gamble feature is your typical red or black choice, allowing you to play double or nothing up to five times with your stake. It adds variance to your game but will not affect RTP. One nice touch is that the Book of Ra uses an adaptive payout table that tells you the payout for your current choice of lines and coin sizes rather than as multiples so you always know how much you might win on a given result. The Book of Ra symbol is an interesting feature of this game. It plays three roles: Scatter symbol, Wild symbol and Bonus symbol all at once. As a Wild symbol the Book of Ra symbol will substitute for any symbol in a winline. 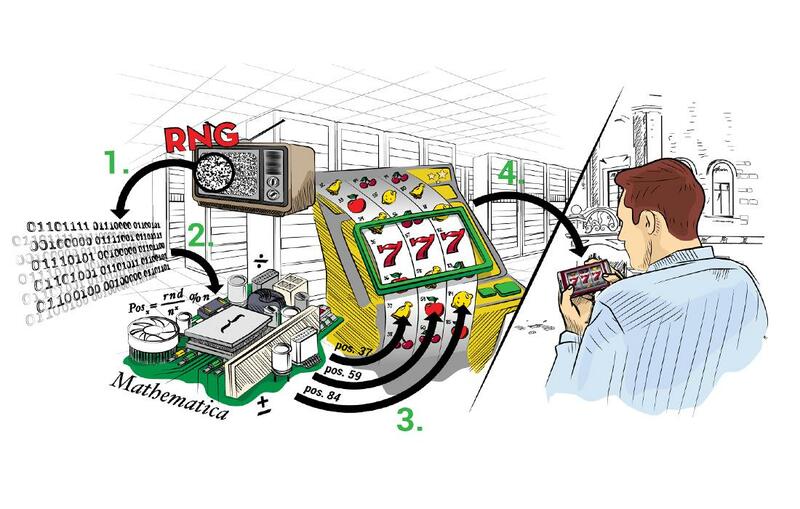 If two or more Book of Ra symbols fall on any combination of reels during a spin there is a scatter payout determined as a multiplier of your bet (2x for three symbols, 20x for four, 200x for five). If you hit three or more Book of Ra symbols then the bonus is triggered. The bonus consists of ten free spins. During the bonus rounds a single symbol is chosen at random during some free spins. When this happens after payouts this symbol expands to cover three slots on the reel. Further payouts are then made. The Book of Ra has a slightly lower than average RTP. Some sites report an RTP of 95.18% although the makers of the game list the even lower theoretical RTP of 92.13%. This is a medium variance game. 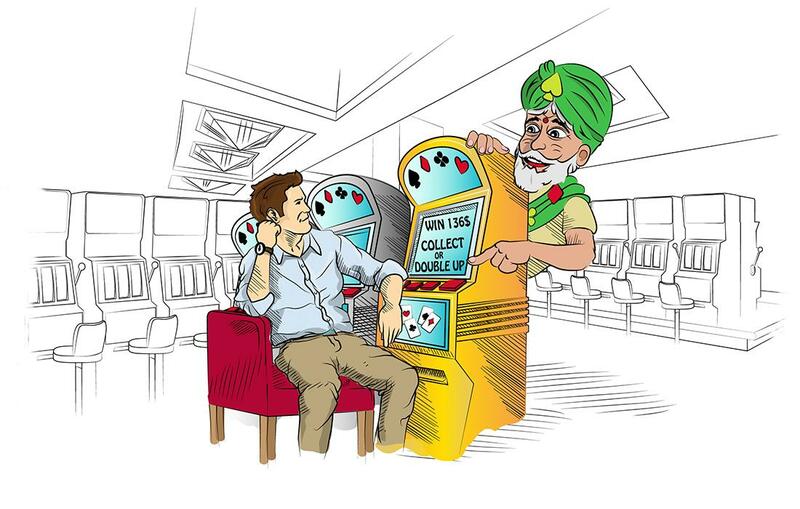 You can expect to win something about once every four spins on average. These wins will tend to be frequent but small. It is also one of the most popular slots out there with classic status and several sequels. This game must be doing something right to attract so many players in spite of a very low RTP.